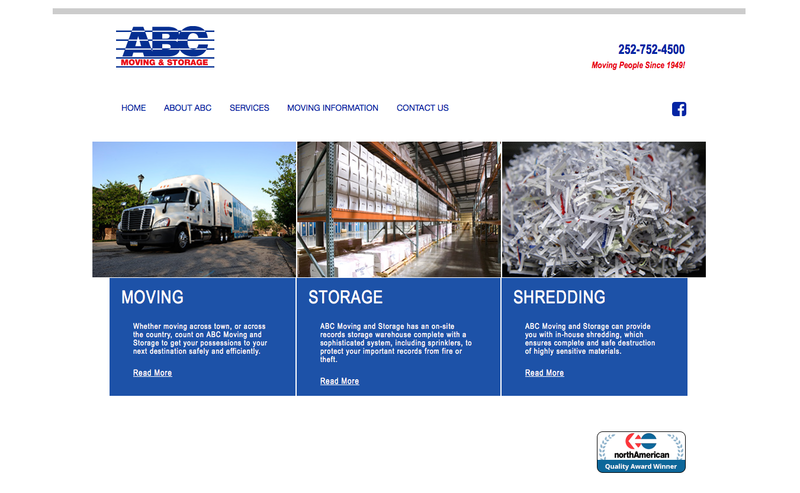 The creative team designed a responsive website for ABC Moving & Storage. 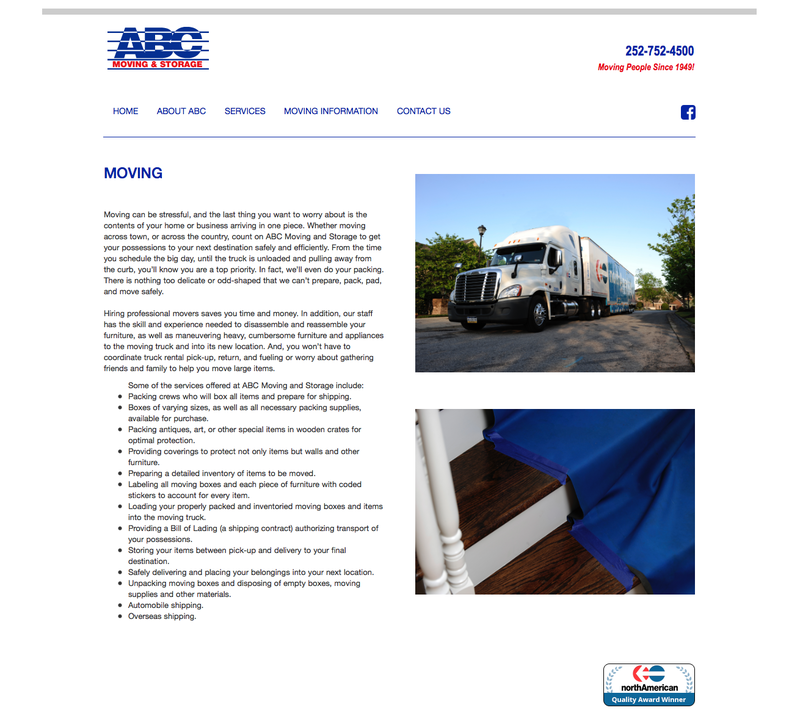 The client wanted a layout that was easy-to-navigate for many types of users. 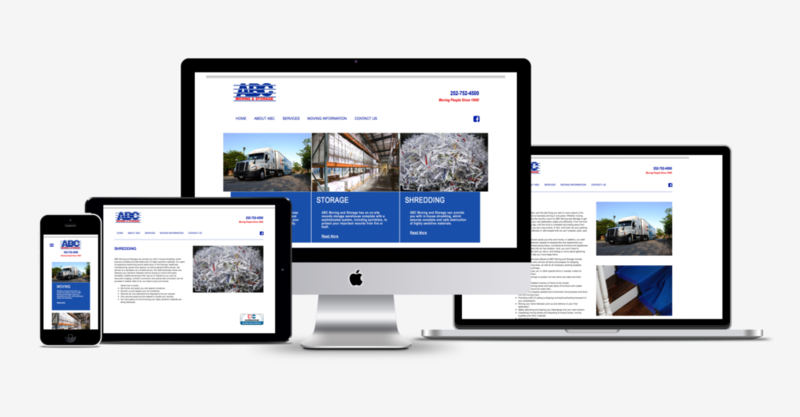 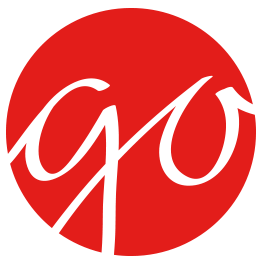 The homepage has bold images and color blocks that list the different services ABC has to offer.